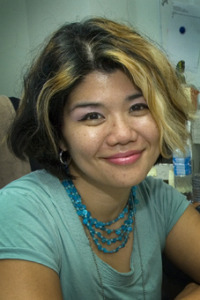 Dr. Mai Neo is Associate Professor and Head of Multimedia Studies in the Faculty of Creative Multimedia, Multimedia University, Malaysia. She was the former Dean, Institute of Postgraduate Studies and former Director of R&D Collaborations, Multimedia University, and Deputy Dean of Staff and Student Affairs of the Faculty of Creative Multimedia. Mai's research interests are in the design of constructivist learning environments, multimedia authoring technologies in the teaching and learning process, using interactive multimedia projects in teaching and learning methods, Problem-solving learning (PSL), Collaborative and cooperative learning, Project-based learning, Interactive multimedia learning.